Jenna and her friends and co-workers are getting ready for Book Clubs that have arrived at Crystal Cove. Jenna and her book club are house hopping and having a meal at each house while discussing a Krista Davis book. When at the last stop they find Ivy Beale dead. Who killed Ivy and why? All signs point to Pepper being the guilt party but there is no way Jenna will believe that. What makes it harder is that Cinnamon her daughter is the chief of police. Who specifically told Jenna to stay out of it. Also Rhett Jackson Jenna's fiance is working with Jenna to try to narrow down a location and date for their wedding. Of course with everything going on a wedding is the last thing on Jenna's mind. Will she sniff out the clues in time? I love this series it's fun to watch as Jenna fumbles around trying to figure out what really happened and why? 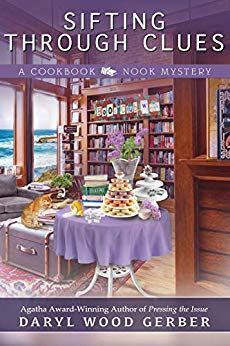 I also loved how they included a recent cozy mystery into their book club that definitely makes it all the better. Makes me wish I was part of their book club! I can't wait to see what is next for this author. If you have read this book feel free to share your thoughts in the comment section! 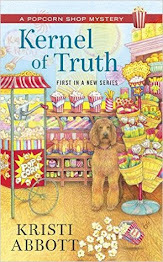 This book follows Rebecca who owns a Popcorn Shop and is working with another shop owner to expand the business. When her fellow business owner is found dead it's up to Rebecca find out what is going on. Of course things don't go according to plan when Rebecca keeps trying to get to the bottom of what happened to Coco. As she tries to figure it she finds herself inside the police station more times than she wants to count! So who killed Coco and why? I loved this story Rebecca is great she's not perfect and not always making the best choices and I think it works for this series to have a girl who plays a not good girl but not quite bad either is definitely a nice change to the cozy genre. I also loved meeting all the people that live with Rebecca in her hometown and how she deals with moving back after a marriage that fell apart even though her ex-husband can't figure that out yet. 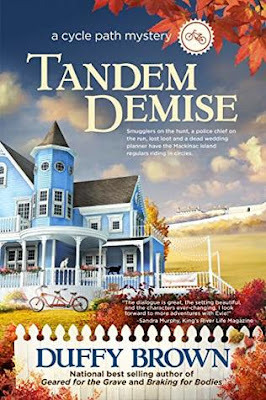 Definitely a great addition to the cozy mysteries out there and one I wouldn't mind reading again and again! Rebecca has just the right amount of sass! Kelly Jackson, manager of the Redwood Cove Bed and Breakfast, is fond of the Doblinsky brothers, Ivan and Rudy, members of the Silver Sentinels, a crew of crime-solving senior citizens in their Northern California seaside hamlet. After she discovers a jewel-encrusted dagger—with what appears to be dried blood on the blade—on their fishing boat, they share their family history with Kelly, and she learns that the knife may be part of a set from their long-ago childhood in Russia. Its sudden reappearance is eerie, but the mystery grows much more serious when a body is found on the boat. The victim was staying at Kelly’s inn, in town for a Russian Heritage Festival, and some of the organizers were clearly harboring some bitterness. But the story behind this murder seems as layered as a nesting doll—and Kelly’s feeling completely at sea . . .
Kelly is adjusting to life in Redwood Cove and spending time with the Doblinsky brothers getting to visit them on their boat the Nadia. While waiting for them Kelly finds a dagger with something on it. Obviously someone is out to cause trouble from Ivan and Rudy. As the Russian Heritage Festival preparations get underway another mishap happens when a body is found on the Nadia. It turns out to be a local store owner Alexander Koskov who also helps Russians get money for rare valuables. Who killed Alexander and why? Kelly decides it's time to rally The Professor, Rudy, Ivan, Gertie, Mary the notorious Silver Sentinels. The group has solved a slew of murders up to this point so why not help out on of their own? They jump right in to help one of their own! What I love about this series is there really isn't a thing wrong with the series. It pulls you in and has you gripping until the story is over. The group works fabulous and they get things done in their own way! This book also was great for those who love Russian History especially those of royal stature. It had you pulled hearing Ivan and Rudy's story. There was so much to enjoy with it. Another fabulous adventure for anyone who loves this series and cozies in general! 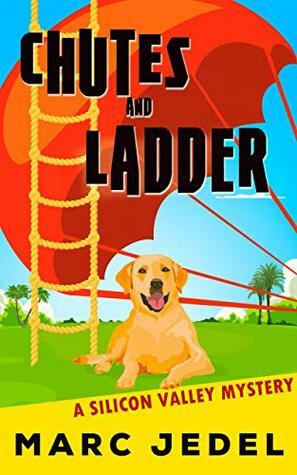 Chutes and Ladder is the side-splitting second novel in the Silicon Valley cozy mystery series. 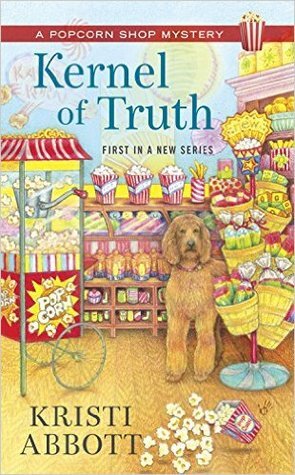 If you like quirky sleuths, wacky side characters, and laugh-out-loud moments, you’ll love this offbeat whodunit. 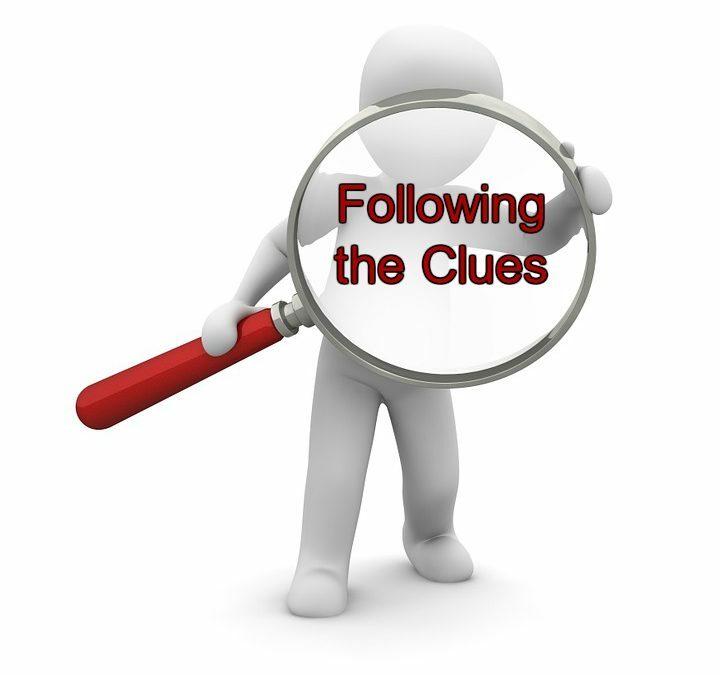 Buy Chutes and Ladder to decode a great mystery today! Marty Golden was all set to spend the weekend with his girlfriend when his sister injures her foot and can't accompany her daughter on a Girl Scout camping trip. Instead she volunteers her brother Marty to be a chaperone. Which of course upsets the other mothers. What no one counted on was finding a dead body. What makes it worse is the dead guy is a poker buddy of Marty's. Marty is a funny character who really makes you laugh while reading and seeing how Marty solves the murder. The book was a quick and enjoyable read that pulls you in to see what Marty is going to do next! Can't wait to see what the author has next in store for Marty! huge to get through because they are vast or they have multiple aliases or series to read. seem more human which you are but it’s like a Hollywood mentality type thing. This is what I could think of to honor all the authors I have come to love and read. As a book reviewer we see the countless work authors do, with their deadlines, coming up with new material dealing with fans who are eager to read the next book, once the current one has been devoured. 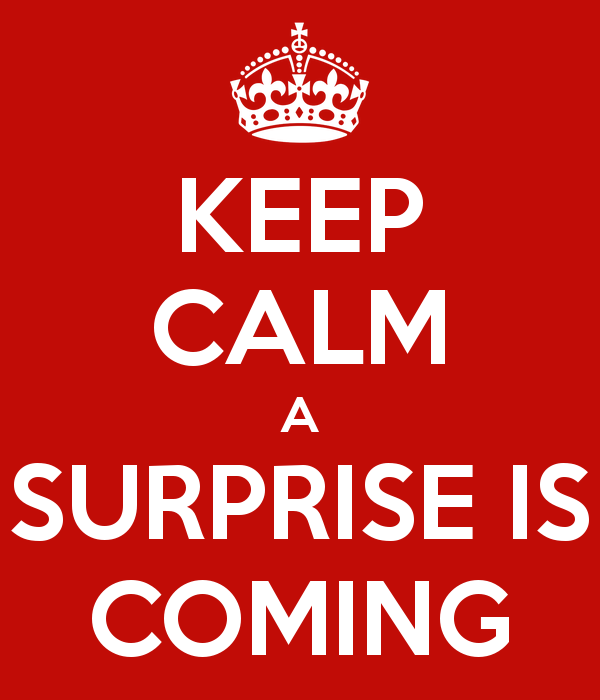 Let's face it fans can be greedy (not in a bad way) looking for the favorite authors to release a new book. I'm working on something which is in multiple parts for authors. It's my way of saying Thank you. They do what they love and love their fans. Someone is helping with me with one stage of the SURPRISE while I am working on part two of the SURPRISE and authors can receive it without even leaving their bedroom, unless of course their computer is in another room that is. To do the 2nd part it's all on me to get to work on it. That I think is the best part a way to appreciate them without them lifting a finger! Who doesn't love something that easy and simple. 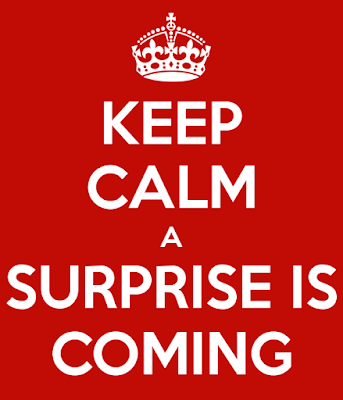 These are all clues to the big SURPRISE. They always surprise us with new books or new news they can sit back and try to figure this one out all on their own, unless they talk to each other and try to figure it out! She's not a psychic--she just plays one on TV. Most folks associate the city of Salem, Massachusetts with witches, but for Lee Barrett, it's home. This October she's returned to her hometown--where her beloved Aunt Ibby still lives--to interview for a job as a reporter at WICH-TV. But the only opening is for a call-in psychic to host the late night horror movies. It seems the previous host, Ariel Constellation, never saw her own murder coming. Lee reluctantly takes the job, but when she starts seeing real events in the obsidian ball she's using as a prop, she wonders if she might really have psychic abilities. To make things even spookier, it's starting to look like Ariel may have been an actual practicing witch--especially when O'Ryan, the cat Lee and Aunt Ibby inherited from her, exhibits some strange powers of his own. With Halloween fast approaching, Lee must focus on unmasking a killer--or her career as a psychic may be very short lived. . . In this book Lee Barrett has returned home where her Aunt Ibby lives and where Lee grew up after her parents died. Salem Massachusetts has lots of magical history. Lee is about to interview for a new job when she finds out someone else has been hired. Irate Lee leaves and finds a dead body in the water. They learn that the body is none other than a late night show host and psychic Ariel Constellation. Pretty quickly Lee is hired to run the show Nightshades. While connected to the radio station Lee decides to poke around and find out what is going on? The big question is who killed Ariel and why? Could it be the boss's wife who recently had a falling out with Ariel assuming she was messing around with the Boss? Or was it one of the people who called in looking for advice on Nightshades? As Lee tries to figure it out she is left with more questions than answers! I loved going to Salem as I have been there being raised in NH puts you close to visiting Salem. 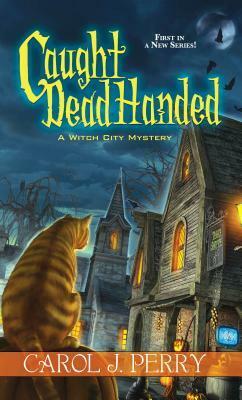 It was great to see a cozy mystery series take place in Salem. The story really pulls you in to learn more about Lee and her Aunt Ibby, and what brought the two of them together. Of course I felt bad for Lee who has had her share of sadness with the death of her parents and her husband Johnny Barrett. She is definitely a remarkable person to keep moving forward regardless of the tragedy she has been through. 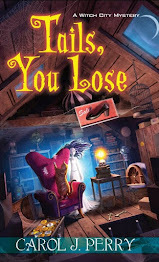 A great book for those who love cats, magic, and things that go bump in the night! If you've read this book let us know in the comments what you thought of it! The streets of San Francisco would be lined with hardcovers if rare book expert Brooklyn Wainwright had her way. And her mentor wouldn't be lying in a pool of his own blood on the eve of a celebration for his latest book restoration. With his final breath he leaves Brooklyn a cryptic message, and gives her a priceless and supposedly cursed copy of Goethe's Faust for safekeeping. Brooklyn suddenly finds herself accused of murder and theft, thanks to the humorless, but attractive, British security officer who finds her kneeling over the body. Now she has to read the clues left behind by her mentor if she is going to restore justice. I figured since I started out this series with Books of a Feather I would go back to the beginning. In this new series Brooklyn is a book binder and she is off to see her mentor who she had a falling out with when she decided to go out on her own. Hoping to repair their relationship she is pleasantly suprised to see that Abraham is willing to bury the hatchet and move on with his protege. When later on she finds him dead she can't understand who would kill him and why? This book introduces us to Derek right away and how he always following Brooklyn after the murder which seems to be centered on a book called Faust. Some claim the book is cursed, but Brooklyn won't be deterred from working on the book. I loved watching these two stumble around with the mystery especially as another body turns up. Now someone has there sets sight on Brooklyn and Derek has to do everything he can to help her and make sense of what is going on. Such an incredible mystery that had me guessing til the very end. This book follows Hope Early who is working as a book blogger and taking a workshop to help her photos on her blog look better. Hope's neighbor has returned home after being in rehab and is desperate to stay home and not end up in a nursing home. When a fire burns the house and another person is found dead. Hope finds herself investigating and wondering who started the fire and why? 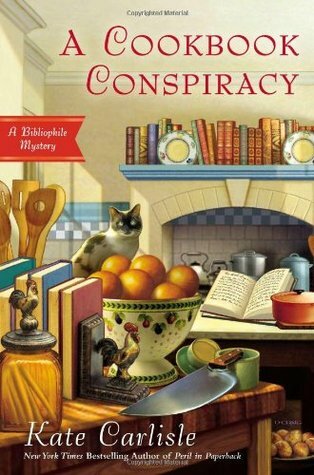 This book reminds me alot of The Domestic Diva series and other foodie mysteries. It was fun to read as Hope cooked up possibilities to what happened. Hope has her work cut out for her in this book as she is doing multiple things at once and you find yourself pulled into her town and figuring out who the bad guy was and why! Can't wait to see what is next for this local author! 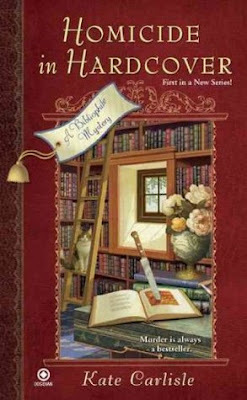 It’s a recipe for disaster when bookbinder Brooklyn Wainwright is asked to restore an antique cookbook…. Brooklyn has always been a little obsessed with food, but it was her sister Savannah who became a chef, graduating from the prestigious Cordon Bleu culinary school in Paris. She and her classmates all went on to successful careers, but none of them achieved culinary superstardom, like Savannah’s ex-boyfriend Baxter Cromwell. 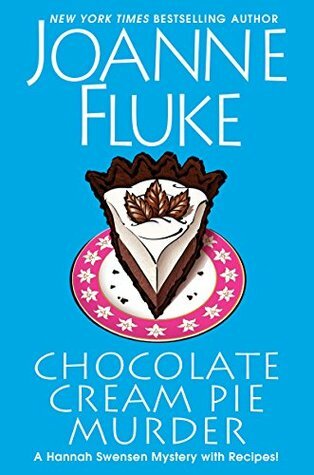 This book follows Brooklyn local book binder and her spy boyfriend Derek Stone as they are involved in the world of cooking and cuisine. In this one Savannah, Brooklyn's sister and her cooking friends are helping one of their own with his grand opening. Baxter Cromwell has arrived in San Francisco and opening his new restaurant with the help of his friends from college. Brooklyn finds herself restoring a book for Baxter that Savannah wants to give back as she is sick of holding on to the book. On the opening night he's stunned and not in a good way when Savannah gives him the book back all restored. Later on Baxter is found dead with Savannah standing over him with the bloodied knife in her hands. Who killed Baxter and why? This book was definitely a continued wonderful addition to the series. In this one Brooklyn really has her work cut out for her as she keeps having to remind her sister that someone among them may be a killer. Which is a job in itself. I really enjoyed this the writer pulls you in and won't let go until the story is over. Totally worth the mystery and unraveling the clues. Brooklyn’s friend Ian runs the Covington Library, which is hosting an exhibit featuring John James Audubon’s massive masterpiece, Birds of America, currently on loan from an Arab sheik. During the gala celebrating the book, she is approached by Jared Mulrooney, the president of the National Birdwatchers Society, who urgently needs Brooklyn’s skilled hands to repair a less high-profile book of Audubon drawings that’s fallen victim to spilled wine. At the same party, Brooklyn is flying high after she’s asked to refurbish and appraise a rare copy of Poor Richard’s Almanac. But everything runs afoul later that evening when Mulrooney’s body is discovered in the library. Rumors fly about a motive for murder. Perhaps Mulrooney wanted to sink his claws into the pricey Audubon book, but Brooklyn believes the man died fighting off a daring thief. Soon more troubles ruffle Brooklyn’s feathers. Her parents pop in for a visit with an unsavory friend in tow, and there’s a strange man on her tail. 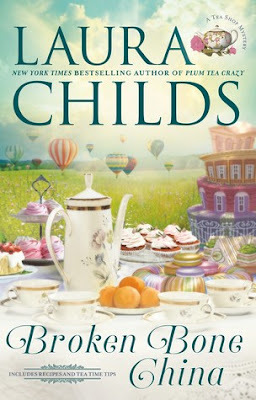 With danger beginning to circle Brooklyn’s every move, it’s clear she must find answers before things really go south . . . This book follows Brooklyn Wainwright whose helping her friend Genevieve Taylor work through her father's collection of books and make sense of it. She takes home some books that Genevieve wants to have fixed up. When she gets home she meets Crane a friend of her fiancee Derek. When they go to the Covington Library for a bird exhibit Brooklyn meets Jared Mulrooney who need Brooklyn to fix his book next thing Brooklyn knows is he is dead. After several attempted break ins at her apartment her parents arrive and have a friend of theirs spend the night with them only to wind up dead the next day. Who is going around killing people and why? What is the fascination with Brooklyn's apartment? What book are they after? 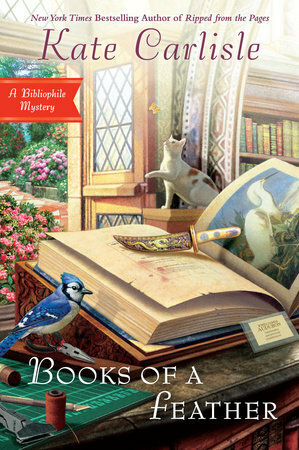 This is a cute little series about book binder extraordinaire Brooklyn as she solves mysteries along with repairing books. She has dealt with her share of mysteries having to do with books everytime and the length people go to swipe a book. Even so far as to murder for a book! A magical Faberge egg glows within the walls of Russia's Winter Palace. It holds a power rooted in the land and stolen from the mystics. A power that promises a life of love for her and Alexei Romanov. Power, that, in the right hands, can save her way of life. But it's in the wrong hands. 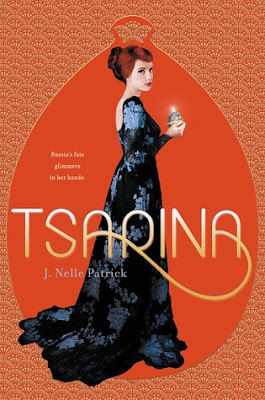 This book follows what happened in Russia with the fall of the Romanov's. Early in it we see Alexei and the Faberge egg. The egg was imbued with all Rasputin's powers and fellow mystics alive. When Bolshevik revolution happens Natalya and her friend end up running and wind up kidnapped and made to do things they would rather not do. Natalya travels all over to get the egg back as she is now protected by the powers of the egg. This book was all over it was a great re-telling of the story and a spin on what happened during that time frame and added mystical aspects add to it. Once I began I found I couldn't put it down and was eager to see how they would end the story. Definitely worth checking out to see how it all played out! 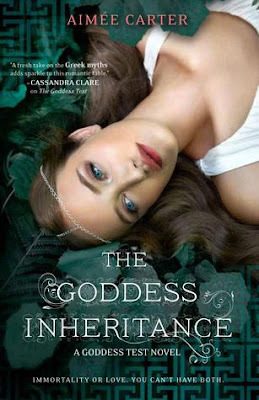 Kate has spent nine months being kidnapped by Queen of the Gods and a very vengeful Titan. Finally she gives birth and has her baby taken away be Calliope. In a desperate move she begs Cornus to help her and strikes a deal with him. Henry searches and finds Kate and war becomes a thing coming quicker than later. Henry ends up injured and Kate and James go another search to get Cornus's wife to assist them with Cornus even if she won't help there aren't many options left. Kate is desperate to get her baby back at any cost. This book had so much going on you can see Kate grow as she does what she needs to protect her family even calling on previous girls who attempted the Goddess Test. That along with an old family member helps to assist Kate to end the war! Kate Winters has won immortality. But if she wants a life with Henry in the Underworld, she'll have to fight for it. Becoming immortal wasn't supposed to be the easy part. Though Kate is about to be crowned Queen of the Underworld, she's as isolated as ever. And despite her growing love for Henry, ruler of the Underworld, he's becoming ever more distant and secretive. Then, in the midst of Kate's coronation, Henry is abducted by the only being powerful enough to kill him: the King of the Titans. 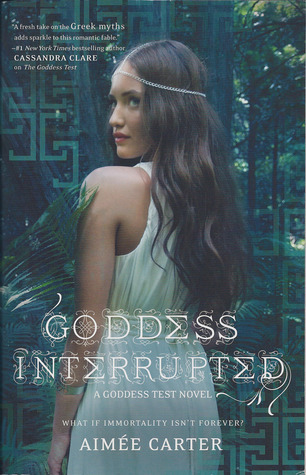 Before Kate Winters can enjoy her time in the Underworld someone interrupts her coronation ceremony. When Calliope interrupts with the help of her father Cronus Henry finds himself kidnapped along with other Gods to the Underworld. Will Kate be able to save them in time? Kate, James and Eva travel through the land to find Cronus and retrieve those they love. One ally they aren't sure of but they definitely need is Henry's first wife Persephone. Will she help her family or walk away again? This book was jammed pack full of action and definitely huge relationship problems as Henry and Kate try to figure out their relationship and what will come of their future. Kate wanting to be nothing like Henry's first wife can't help but feel like she's living up to a idol to Henry she can't compete with. Then there is Cronus and Calliope who are determined to cause the Gods nothing but pain and death. I love Kate and how she deals with things with new eyes and prospective! Can't wait to see what happens next especially with the serious cliff hanger in the story! In this book Theo and Drayton are having a hot air balloon ride and find themselves watching a drone fly around the hot air balloons. When the drone flies into one of the balloons and the balloon crashes to the ground killing Don Kingsley the CEO of SyncSoft. Of course everyone in town is curious about who had the drone and why kill Don Kingsley. As Theo and Drayton investigate the situation they find themselves with more questions than answers especially when a rare flag disappears and many people seem to have interest in it. Could it have been his his soon to be ex-wife who is determined to open a B & B. Or could it be local antique collectors in the area? Or could it be a Theo's friend's sweetheart who blew the whistle on SyncSoft? This was a great adventure to go on even with all the rain this book was definitely intriguing to say the least. We get to see many different people and what had to gain by the death of the CEO along with the rare flag. I also enjoyed learning and reading about Drayton's house and seeing how he handled being photographed for a magazine spread. Can't wait to see what is next. And I loved the hero of the book Early Grey to the rescue he was wonderful helping out where he can! After solving two murders, bike shop owner Evie Bloomfield thought life on Mackinac Island would settle into boredom until she finds out Nate Sutter, island police chief and once-upon-a-time under cover cop is on the run. Some badass guys from Nate’s Detroit days think he stole money from them in a champagne smuggling operation and now they’re headed to the island to get their loot. Evie is determined to help Nate because he’s a good cop, Nate is determined to keep interfering Evie and island locals out of harms way, and the crooks are determined to get their money. To add to the island’s problems there’s a dead guy on the dock and the new wedding planner is more interested in playing bedroom bingo than ordering bridal bouquets. 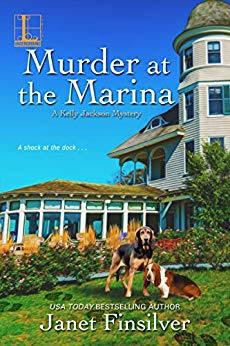 With the help of Fiona, Evie’s BFF and local newspaper editor, Evie is determined to prove Nate innocent, figure out how champagne smuggling, bodies on the dock and a bad wedding planner are tied together and not wind up taking a long walk off a short pier herself. In this book a body appears dead on the dock. True Evie nature she questions the situation and why die on the dock? Evie finds herself trying to clear Nate the local Police Chief whose badly in trouble of course he warns her away but when a body appears and it appears to be connected to Nate Evie can't help but stumble her way into trying to clear him. The more she pokes around the more questions pop up about Nate and the dead guy on the dock. I love this series and it gets better every time. As you dig in you find you can't put the book down. It pulls you in and you can't stop until you find out if Nate will be cleared or is he doomed to go to jail. I can't wait to see where this series goes next! 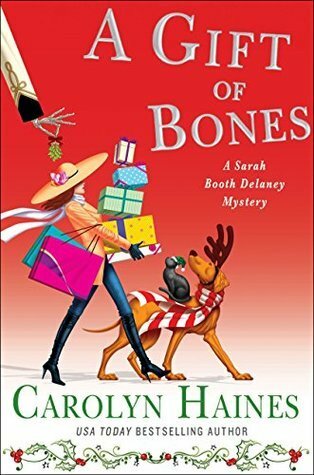 Christmas comes to Zinnia, Mississippi—Sarah Booth Delaney must solve a case as the holiday approaches, in this new cozy mystery from Carolyn Haines. Christmas is just around the corner and Sarah Booth and Tinkie are preparing for a festive holiday season. After a turbulent season of solving cases, they’re ready for some holiday cheer. Sarah Booth and Sheriff Coleman Peters have finally gotten together, and this is the first holiday they’re celebrating as a couple. Sarah Booth busies herself with decking the halls and daydreaming about romantic Christmas nights with Coleman. Then her friend Cece Dee Falcon shows up needing Sarah Booth’s help—right now. She shows Sarah Booth a box that was delivered by courier and left at Cece’s front porch. It contains a lock of hair, a photograph of a pretty young woman, very pregnant, and a note demanding ransom for the return of the teen. Cece reveals that this is her cousin’s daughter, Eve Falcon, and that she’d lost touch with this part of her family years ago. Eve and Cece had been close, until the family had a terrible falling out, and banished Cece from their lives. The countdown begins as the kidnapper pushes for payment—or else, he threatens, Eve will meet her maker. It’s up to Sarah Booth and her friends to find the girl before something terrible happens on what should be the merriest day of the year. Carolyn Haines’s trademark humor and lovable characters are back, in a heartwarming Christmas story that will enchant and delight readers looking for a suspenseful mystery wrapped in joyful holiday merriment. Sarah Booth is getting ready for Christmas and spending time with Coleman her boyfriend. When her friend Cece asks for help it seems Cece's neice is missing and very pregnant and Sarah and Tinkie find themselves deep embroiled in investigating what happened to Eve Falcon the pregnant teen. As they dig in deeper the questions become greater. Why kidnap Eve to what purpose and why? Will Sarah and Tinkie be able to retrieve the girl before she has the baby. Who kidnapped her any why? This was a fun adventure back in south. We see what everyone is up to Christmas. And watch Sarah and Tinkie try to help their friend Cece to have this resolved before Christmas hits as the baby is due on Christmas Eve. It was such a blast and I couldn't put the book down it was so good! This book started out with Zsadist whose having a hell of a time with Bella being kidnapped by the head of the lessers and everyone assuming she was dead which isn't the case. Zsadist is the only one who believes she is still alive. Bella is doing everything she can to stay alive getting word out that she is still alive and needs help. With Z's help they rush to her side and rescue her unfortunately her road to recover is difficult. The one thing Bella is sure of and that is she wants Z in her life. This book was such an incredible journey. They had ups and downs finding their way to each other and figuring out their way to each other. I really enjoy going on the journey with Z and Bella and seeing where they wound up! Such an incredible adventure! In the shadows of the night in Caldwell, New York, there's a deadly turf war raging between vampires and their slayers. There exists a secret band of brothers like no other-six vampire warriors, defenders of their race. 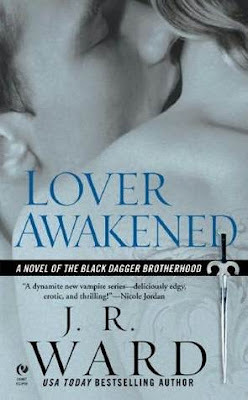 Possessed by a deadly beast, Rhage is the most dangerous of the Black Dagger Brotherhood. 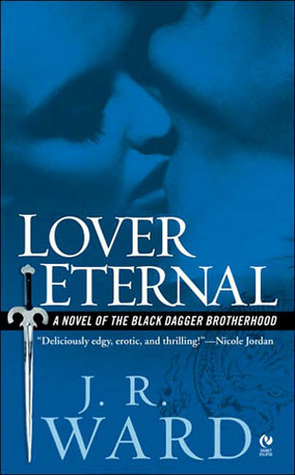 This book follows Rhage whose is a vampire unique to himself. He's also cursed by the Scribe Virgin his punishment was half vampire half beast. When he meets Mary he finds himself instantly drawn to her. Unsure of what is causing the growing attraction he keeps putting off wiping her memory. Mary has had her share of ups and downs and when she meets a mute named John she feels a strong connection to him which lead her to the brotherhood who are interested in John. When she meets Rhage she feels a strong attraction to him but unsure why. Of course they have lots to overcome for their relationship to work especially with those really annoying lessers trying to kill the brotherhood and anyone attached to them. I love this series it pulls you in and you can't let go. It really is addicting once you've started you really want to finish the series. Which is crazy with the amount of books and pages as you begin! 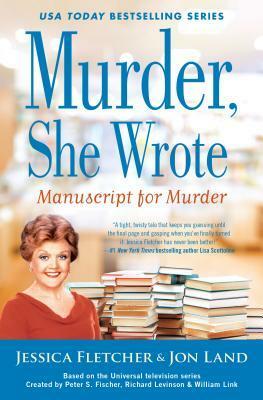 Jessica Fletcher has had plenty to worry about over her storied career, both as a bestselling novelist and amateur sleuth. But she never had any reason to worry about her longtime publisher, Lane Barfield, who also happens to be a trusted friend. When mounting evidence of financial malfeasance leads to an FBI investigation of Lane, Jessica can't believe what she's reading. 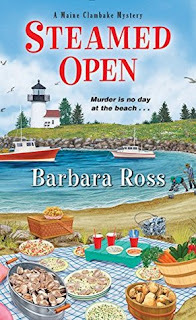 So when Barfield turns up dead, Jessica takes on the task of proving Barfield's innocence--she can't fathom someone she's known and trusted for so long cheating her. Sure enough, Jessica's lone wolf investigation turns up several oddities and inconsistencies in Barfield's murder. Jessica knows something is being covered up, but what exactly? The trail she takes to answer that question reveals something far more nefarious afoot, involving shadowy characters from the heights of power in Washington. At the heart of Jessica's investigation lies a manuscript Barfield had intended to bring out after all other publishers had turned it down. The problem is that manuscript has disappeared, all traces of its submission and very existence having been wiped off the books. Jessica Fletcher is back at it again this time she gets handed a manuscript of a book called The Affair. The author being a total unknown. Jessica decides to give the book a try. Of course not before a fellow author and her long time publisher wind up dead. Jessica begins to wonder if it's all connected to the manuscript. As she digs deeper she travels from Boston, to Cabot Cove to New York along with a trip to D.C. We also get to see Seth, and Mort and even Harry McGraw. There were a few things in this book that are inaccurate. Like Jessica's lack of cooking skills. She's a good cook and it shows up time and again. In the scheme of things they are miniscule but if you know msw then you know those parts aren't accurate. The mystery was typical JBL fashion. You find yourself pulled in and the ending was fabulous I couldn't put it down. After learning about her "husband" Hannah has decided it's time to fill the town on Ross and what he did to Hannah and move on with her life. As she tries to move on the one thing she didn't count on was Ross to rear his ugly head again. He's determined to get money he gave to Hannah back but he's turned a nasty streak and playing multiple roles as a bad guy and intimidating Hannah into doing things she doesn't want to do. Will Hannah ever be free of Ross or will he continue to haunt her forever? I liked this book as it went back to earlier formats although it took a long time for a crime to be committed. More than half the book to be precise. The mystery itself felt very rushed and wasn't with Hannah doing her normal snooping. Things seem to fall to easily into Hannah's lap and that made it seem too easy. Can't wait to see what Hannah will do next and of course to see what continues at the end of this story it's enough to make you wonder what Joanne will do with our beloved heroin. 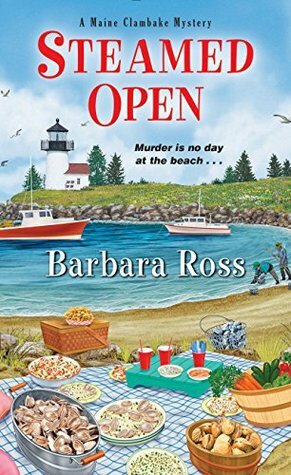 This is the seventh book in the series and it keeps getting better in this one a local woman died and her relative Bartholomew Frick has moved in and closed off the beach and angered alot of people including local clammers who have been clamming in that area for a long time. When Julia tries to reason with him she finally sees that there is no reasoning with him. Next thing Julia finds out that someone has killed Bartholomew she is determined to figure out who killed him and why? This was such a great trip back to Busman's Harbor to see how Julia, Chris and everyone else in town is doing. We also see Julia struggle with a secret Chris has kept from her and how she decides to handle it. I loved walking around with Julia has she deals with potential suspects. And of course the guilty party will keep you guessing until the end.